What you're looking at is an historical aircraft. The aircraft that followed and were inspired by it's design changed the world of aviation. 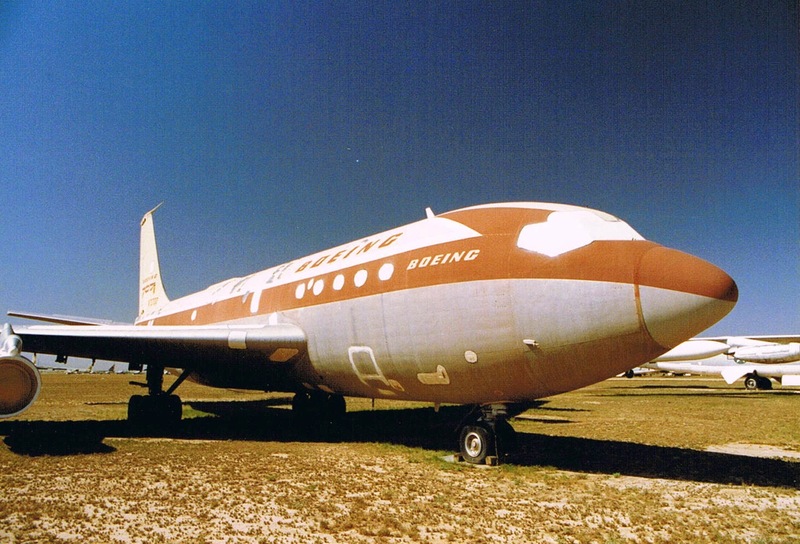 This is the Boeing Model 367-80. 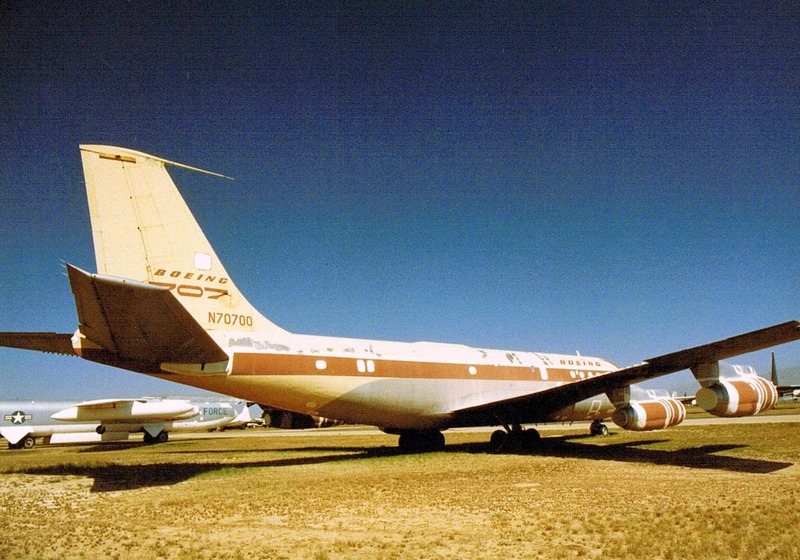 It was the prototype of the storied 707 which launched the jet age. From this aircraft came the jets that ended the age of propellers and introduced the world to modern jet travel. Other than marginal improvements in engine and avionics technology, getting on an airliner today will mean travelling at the same speeds, altitudes and comfort that were introduced with this aircraft. This is also an aerobatic aircraft, though it was never intended as such. Early in the test phase of the aircraft, test pilot Tex Johnson rolled the aircraft in front of a group of industry big wigs. When called on the carpet and asked what he was doing, he simply replied "selling airplanes". The 367-80 spawned two iconic aircraft: the B-707 for which Pan Am was the launch customer, and the Air Force's KC-135 Stratotanker. There's a story behind the inception of both aircraft. The mid-50s were a time of incredible growth for both commercial and military aviation. During the height of the Cold War, great concern was given to being able to bomb the Soviet Union. The B-52 was the aircraft designed for this task but it couldn't do the job alone. It didn't have the range and needed to be refueled in air to make the journey. The Air Force had a fleet of tanker aircraft which were based on the WWII era B-29 platform. This airplane, the KC-97, was too slow and small to effectively refuel the all jet B-52 which had to lower gear and flaps to fly as slow as needed. Curtis LeMay, architect of the air war against both Germany and Japan had become the commander in chief of the Strategic Air Command (SAC) which oversaw both missiles and bombers. General LeMay wanted his all jet tanker fleet "yesterday". Boeing delivered the aircraft but Pratt and Whitney was unable to deliver the new technology TF-33 fan engines to power the aircraft on time. Unwilling to wait for Pratt to deliver the new engines, a decision was made to fit the new aircraft with an older technology J-57 "pure jet" engine which required water injection to achieve sufficient takeoff thrust. Yes, you heard that right. Water was injected into the combustion chamber of the engine during takeoff. This resulted in a higher mass flow rate through the engine and more thrust. It also smoked like an old steel mill and rattled windows for miles. Along with the water injected engines in the new tanker, designated KC-135, was the need for a water tank to feed the engines. Without room for the tank included in the design, a decision was made to remove one of the air conditioning units to make room. This made flying the airplane in summer a miserable experience as I can personally attest. A last little bit of trivia involves the civilian designation of the aircraft. In case anyone was wondering why there was never a Boeing 717, there actually was. It was the civilian designation of the KC-135. If you ever happen to see one at an airshow, the original Boeing ID plate riveted to the crew entrance door will display Boeing Model 717. The airliners named as the Boeing 717 flying today are actually the last variant McDonnell Douglas MD-80 which were acquired by Boeing when they purchased Douglas but those are technically 717-200s. Concurrent with the end of WWII and the return of all our service men was the opening of a new age of possibility. With the American industrial base left intact, American manufacturing flooded the world with new cars, televisions, appliances, and airplanes. Tremendous advances in engine technology, driven in part by German research led the way for passenger jet aircraft to eventually displace propeller driven aircraft. Pan American Airways, the airline which pioneered trans-Pacific air service using the Boeing Model 314 Clipper, was at the vanguard of the new jet age being the launch customer for the new Model 707. Juan Trippe, the Pan Am CEO, had wanted a larger fuselage width which could accommodate six across seating and also trans-Atlantic range. The resulting aircraft was both longer and with a larger wingspan than the original 367-80. The new airplanes did, however, incorporate the new bypass fan engine design offered by Pratt and Whitney. Waiting for the upgraded engines meant that water injection was not needed. While the first flight of the KC-135 was in August, 1956, the first 707-100 did not fly until over a year later in December 1957 and commercial service did not begin until September 1958. 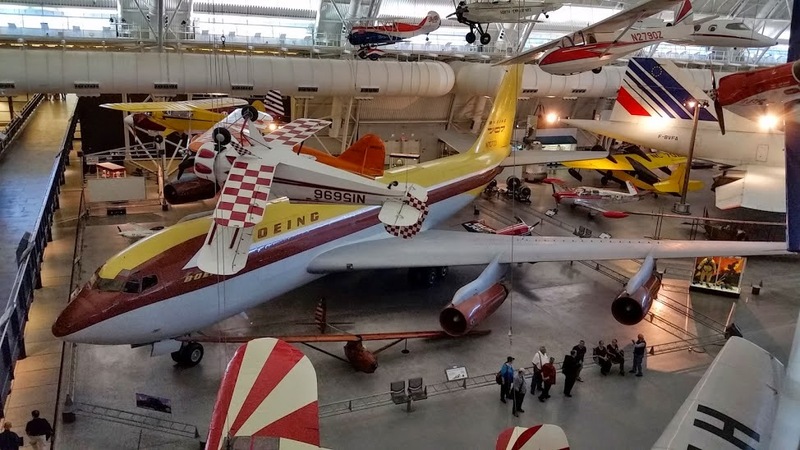 Through 1988 Boeing had delivered over 900 civilian and over 100 military 707s serving as passenger transport, presidential transport, early warning radar (E-3) and communications aircraft. 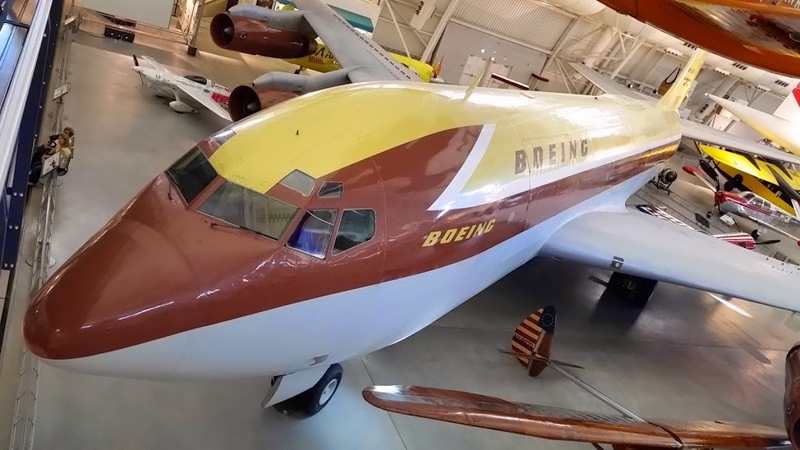 A combination of new noise regulations and Boeing's reluctance to support a re-engining program so as not to hurt 757 sales meant that 707s were largely gone from commercial fleets by the end of the 1980s. They fly on as some military variants. Model 367-80 reliably served as a test-bed for many new technology demonstrations but was finally retired in 1972 and donated to the Smithsonian. 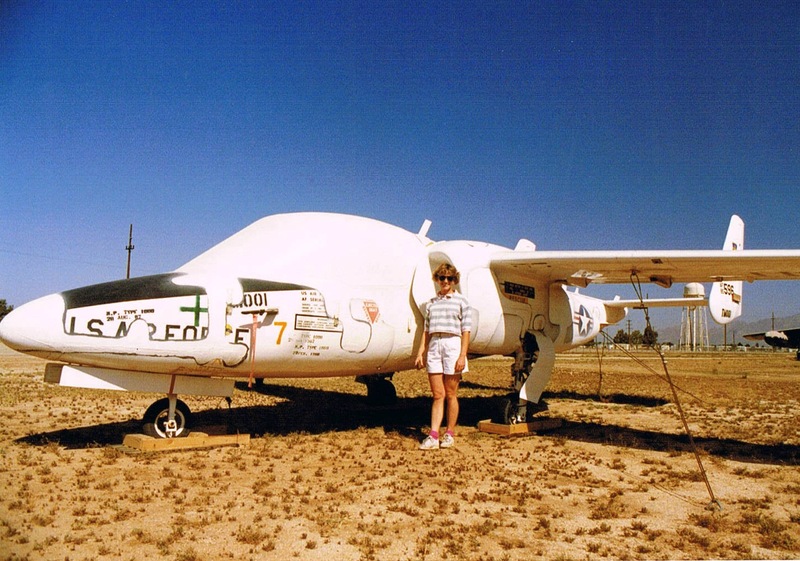 There was however no place to house the aircraft so it ended up in storage in Tucson, Arizona at AMARC, otherwise known as the boneyard. Assigned to Williams AFB in Phoenix in the mid 80s, I drove down with some friends to Tucson to take a tour. Contrary to popular belief, the Air Force does not store all our used aircraft there in the desert indefinitely. Once a determination is made that the aircraft will not be entered back into service, they are chopped up and sold as scrap. 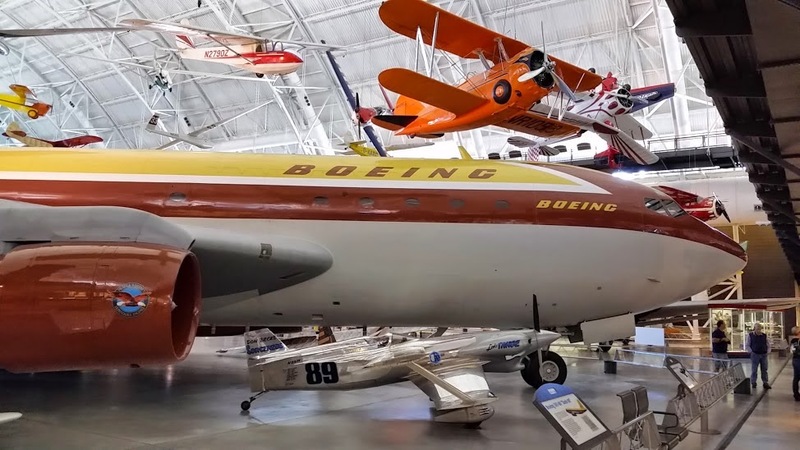 In the mid 90s, Boeing reclaimed the aircraft from the desert, flew it to Washington where it was refurbished and it eventually found it's way to the Udvar-Hazy wing of the Smithsonian Air and Space Museum at Dulles Airport in DC. I took these pictures on a visit to the museum during a layover last week. 367-80 is now polished to a gleam and sits among other proud representatives of a golden age of aviation now just a memory. The last picture I leave you with is a lonely Fairchild T-46, cancelled as the replacement to the T-37 trainer we were flying at the time. Standing in front is some girl I was dating at the time.